We only need one Rep/Coach to pick up during check in. PICTURE ID is Required to check in team. Congratulations on an outstanding season and welcome to the 2019 USSSA Fastpitch National Championships. The National Championship Tournament will be held in McKinney, Frisco and Plano, Texas. 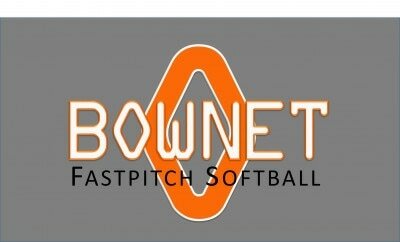 Games will be played July 18-21st 2019. We may have to add fields near the area depending on the amount of teams. This tournament will offer the following ages/divisions: 14 & Under Open, 16 & Under Open, and 18 & Under Open. The USSSA Fastpitch program will use a 5 game format in its National Championship Tournament. Teams will be placed into pools randomly and play a round robin. All teams will be seeded into double elimination championship bracket following pool play. Seeding will be based on pool finish. 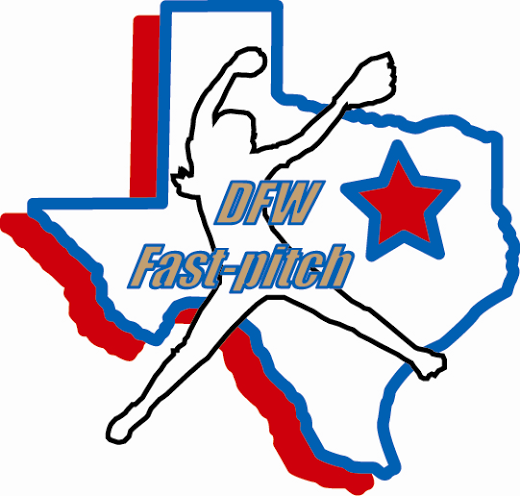 The exact format of the tournament, e.g., number of games, number of teams in each pool, etc., will be set by the tournament director following USSSA Fastpitch guidelines as approved by the USSSA Fastpitch National Committee. All team rosters must be on the USSSA website, www.usssa.com, and all teams must adhere to all rules and regulations as outlined in the current edition of the USSSA Fastpitch playing rules and by-laws. All players shall have proof of age in possession of their team manager at all times, which must be verified by a government issued document that identifies the player by name, gender and birth date. After each pool game the head coach will award a player from the other team a MVP Award. All playing rules shall be governed by the official USSSA Fastpitch softball rule book and national by-laws. Note that the rule book online at www.usssa.com will always supersede the latest printed version if a discrepancy exists. Gate passes are good for all age groups all parks! Players in Uniform are Free and three Coaches Passes will be given out. All Early Bird Gate passes will be picked up at Coaches Check in and only Check in! Bracket schedules will not be mailed out in advance. Pool Play will be posted no later than Monday. Based on Pool play you will be seeded into a Gold/Silver/Bronze Division double elimination bracket that will start Friday night. Player, coach and other pre-tournament items will also be distributed at the team check-in. Note that all times are subject to change. Please verify itinerary during team check-in. 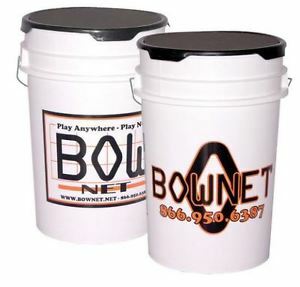 Once the tournament begins, managers must check the main bracket board for any changes in game times, field assignments or other items related to tournament play or functions. 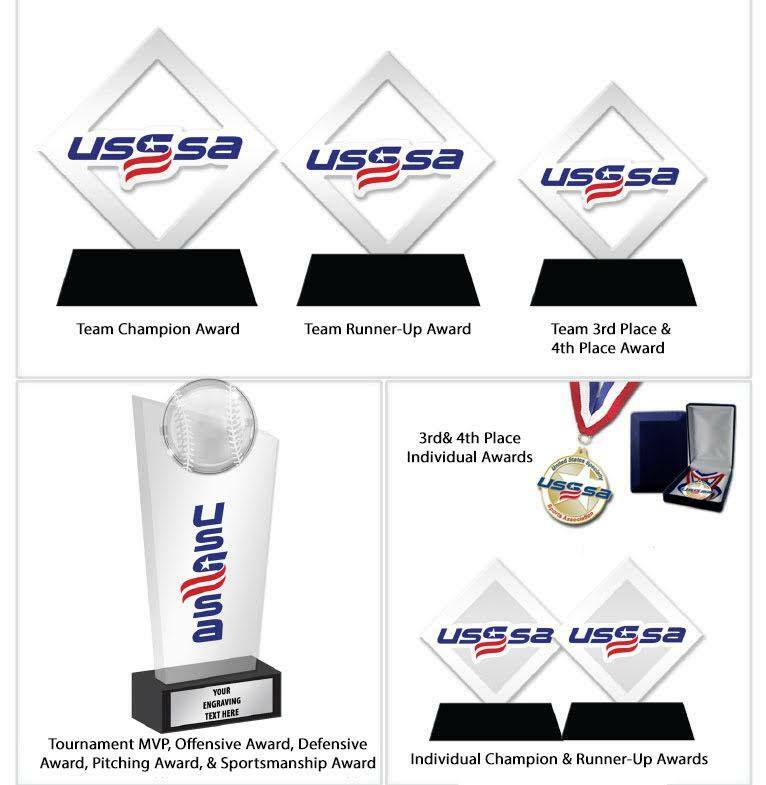 Awards Package sizes will be based on the number of teams in the tournament. Below is the full size package that will be awarded for divisions. Team and Individual for 1st through 5th place.